Up For a Challenge is a platform for browsing and planning outdoor challenge events. As a community, their goal is to motivate and inspire people to take on challenges. Up For a Challenged contracted Original People to develop the platform and to re-design the brand identity. 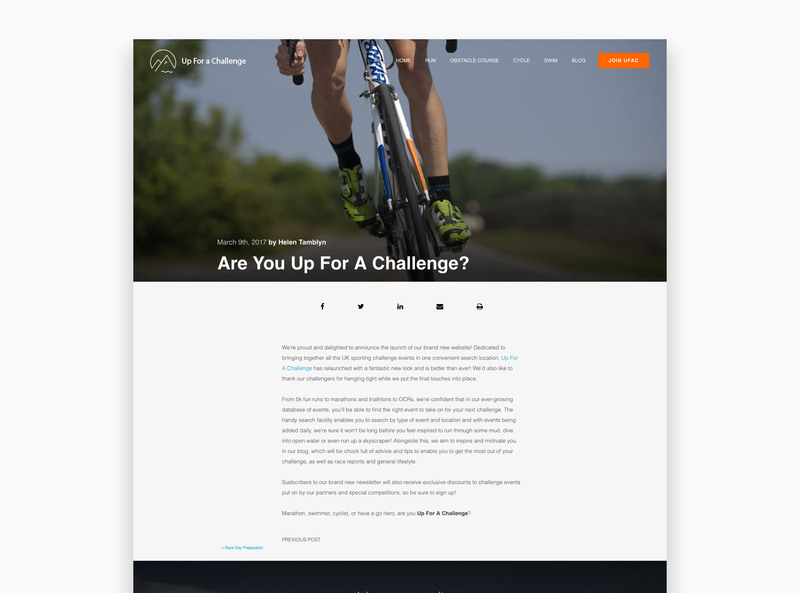 When Up For a Challenge approached Original People, they were looking to improve on the basic web presence that they had previously established. We needed to dissect the requirements of the goals that Up For a Challenge wanted to achieve, and design a brand identity that truly personified them. 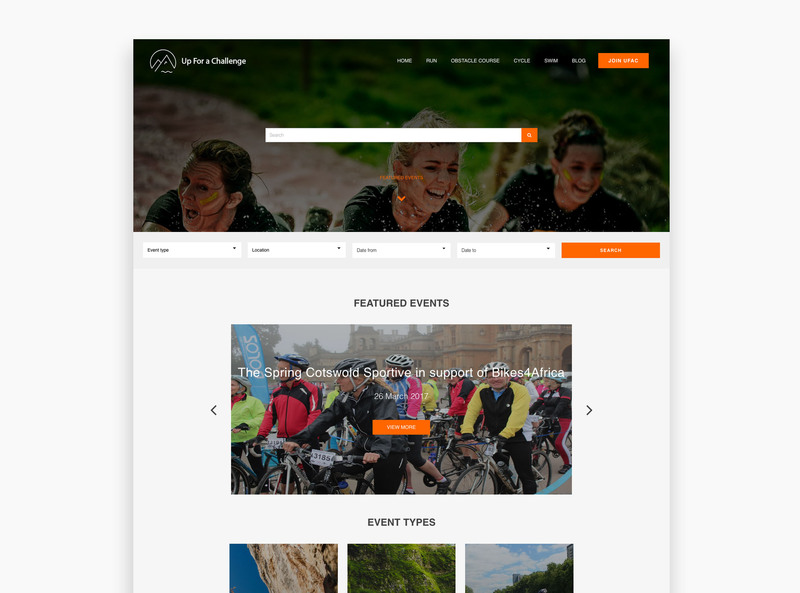 We wanted to capture the true essence of an outdoor challenge event, and we approached this by using modern design principles, complimented with a curated colour pallet and clear typography. From obstacle courses to marathons, we wanted to offer the versatility that would cater to each genre of challenge. In order to offer a detailed overview of challenge events, we wanted to build on the foundations of the Google Maps API. 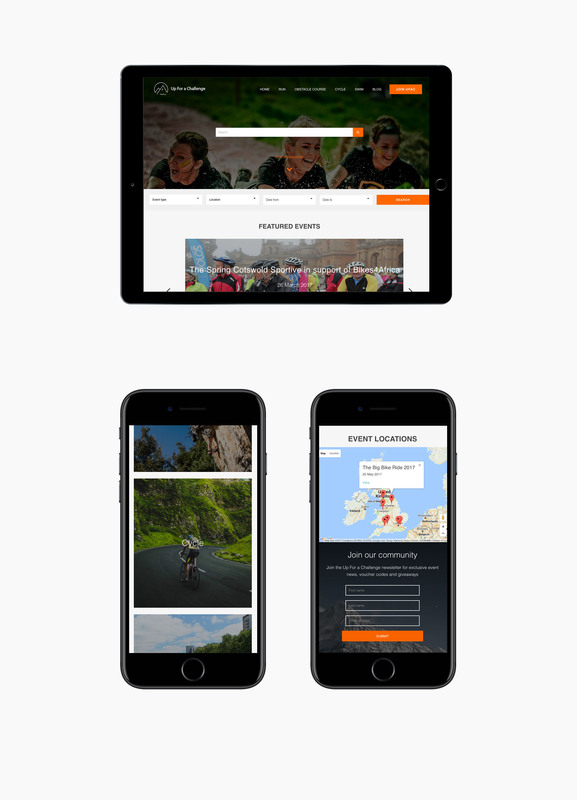 We did this by designing a platform that automatically triangulates the coordinates of a challenge event based on location and address, and places it on top of an overview of the United Kingdom, enabling in-depth insights and scope for planning transportation between events. Up For a Challenge wanted to build a community of avid outdoor challengers, who could motivate and inform each other. 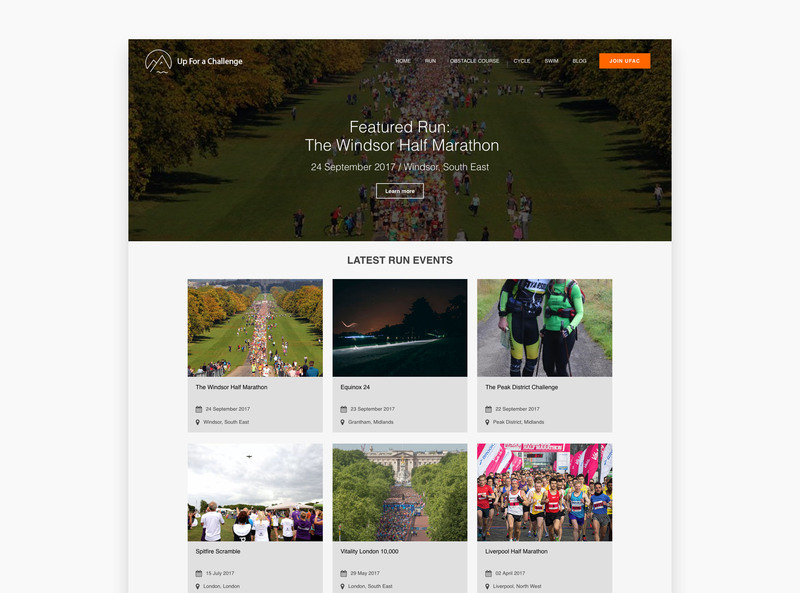 In order to keep challengers up to date with the latest outdoor challenge events, blog posts and news, and to facilitate the growth of the Up For a Challenge database, we've implemented MailChimp campaigns throughout the site. By establishing specific campaigns within MailChimp, we've enabled Up For a Challenge to continuously grow their community, gather insights into event popularity and market the events with the most efficacy.